The profound and dynamic business scenario, demand flexibility, vision, and thought. Allied Aviation over the years has adapted to the market needs and expectation to bring value to its Customers. Our team of professionals draws strategies that seamlessly synchronize with the market expectations.With the focus on the right cargo mix and destinations, the goal extends beyond the planned load factors and revenue targets. 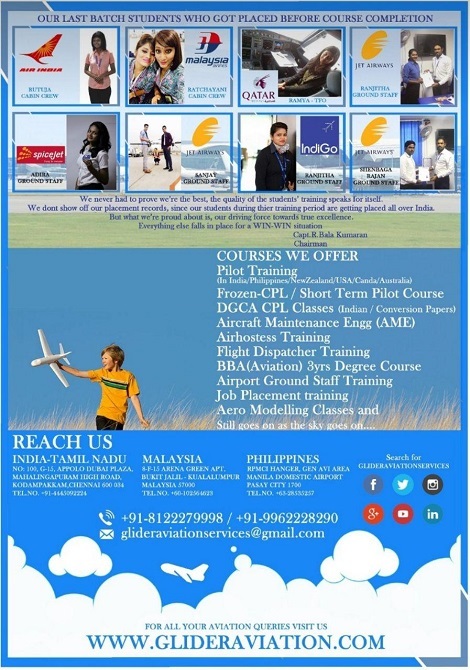 There is no place where they provide all aviation things under one roof, that is the time where we thought to bring out our company with the name of glider aviation services with all aviation needs.Our motto is to bring All Aviation needs under one roof.